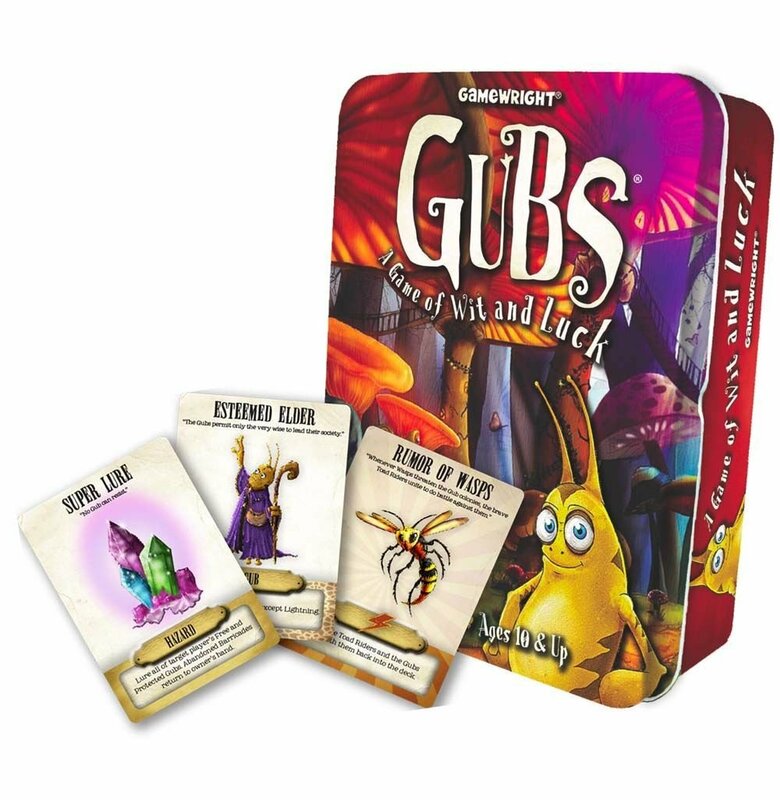 Gubs card game by Gamewright can be played by 2-6 players and has a playing time of around 20 minutes. Welcome, you who have chanced to look beneath the dewy clover to uncover the secret struggles of the Gubs. Behold this clever card game that casts you in an epic contest to build the mightiest Gub colony. Seek wisdom from The Esteemed Elder or take shelter from a Toad Rider as you fend off a myriad of traps, lures and other surprising events, Victory lies down an ever-changing path and no one is safe until the final card falls!